How to fix my keyboard. APR 2018 – UPDATE to previous article below – In March, Microsoft released a new update KB4090913 that they claim resolves this issue. If you are still experiencing this issue give this a try. FEB 2018 – If you’ve recently done a Windows 10 update and now your keyboard has stopped working, you’re not alone. Note this applies mainly to laptops but desktops could also be affected. Many other Windows 10 users are reporting the same problem, especially after installing the KB4074588 update on or after February, 13, 2018. First note this is not a hardware problem this is a software problem caused by a Microsoft Windows update. Microsoft released a new update KB4074588 on Feb 13, 2018. This apparently affects the functionality of laptop keyboards in Windows 10 and can temporarily disable them. Desktops so far do not seem to be affected, if so we will update this page accordingly. If you are interested, here is what Microsoft has posted on their website about this. Ignore the last line about the workaround it is not helpful. All that said they have not posted a real fix for bringing back your keyboard, so we will do it here. ​Uninstall the update that caused it. If you have a Windows 10 laptop chances are you have a touchscreen so you still have control over navigation since you can use the onscreen keyboard. However using a mouse makes it easier. If your mouse is working read on, if not try a different USB port to get the mouse working if you can. 3> Reboot your computer. See if your keyboard is working. If not proceed to the next step. 2> Search for KB4074588 update. If it is there, select it and Uninstall it. 3> Reboot your machine. See if your keyboard is working. If not proceed to the next fix. NOTE: Write this Windows update name down to make sure you do not allow Microsoft to install it again. If so the problem will start all over again. See Windows 10 Troubleshooting for how to stop Automatic Windows Updates. This update may have disabled your keyboard driver. A simple reinstall should bring it back. 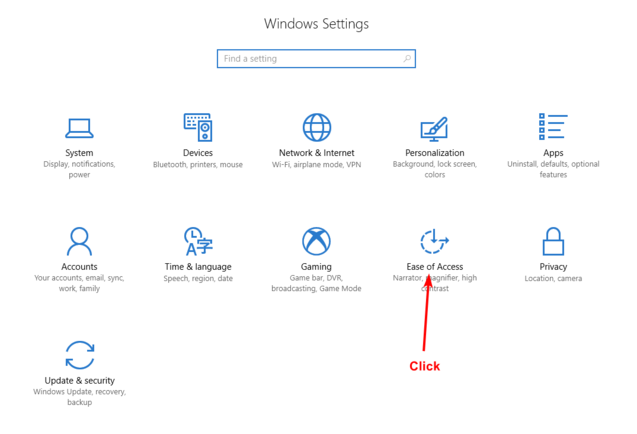 1> From the Win 10 Start menu, Right click on This PC then Left click on Properties. 2> Choose Device Manager from the upper left column. 3> Expand the Keyboard items, then Right on your keyboard in the list. 5> Reboot your machine it should reload the necessary keyboard drivers. Hopefully one of these fixes has brought back your keyboard to a functioning state. If so let us know what worked for you so we can help others. If not you may need to contact Microsoft to show you how to restore your computer to a previous state. If you need a new computer now, consider a QuadStation Computer System. They support from 2 to 12 displays, choose a system below for full details and pricing. Turnaround time is just a few days.​​ It will be the longest lasting computer you have ever owned!